Brisbane je glavno mesto avstralske zvezne države Queensland. Po prebivalstvu je največje mesto v Queenslandu in tretje največje v Avstraliji. ↑ "3218.0 – Regional Population Growth, Australia, 2014–15". Australian Bureau of Statistics. ↑ "Great Circle Distance between BRISBANE and SYDNEY". Geoscience Australia. March 2004. 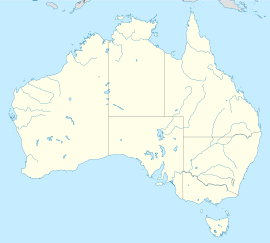 ↑ "Great Circle Distance between BRISBANE and CANBERRA". Geoscience Australia. March 2004. ↑ "Great Circle Distance between BRISBANE and MELBOURNE". Geoscience Australia. March 2004. ↑ "Great Circle Distance between BRISBANE and ADELAIDE". Geoscience Australia. March 2004. ↑ "Great Circle Distance between BRISBANE and PERTH". Geoscience Australia. March 2004.